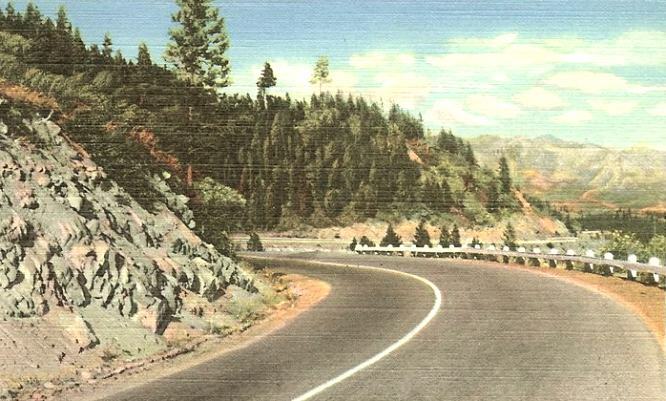 A romanticized postcard view of the eastern slope of McDonald Pass, 1930s-40s. 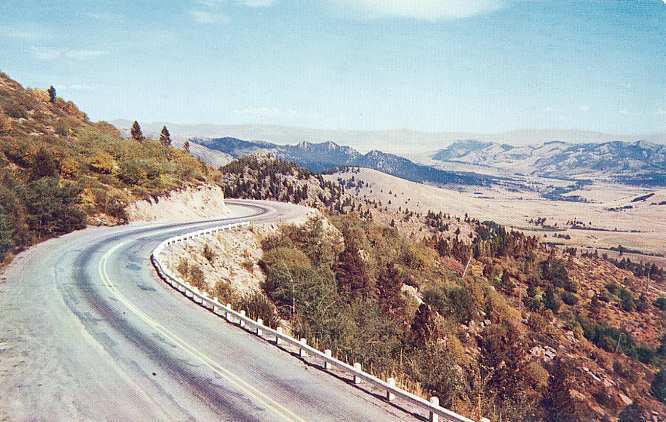 The scene of many crashes, U.S. 10 over the pass was two-lane blacktop until the 1960s. The photo that inspired the postcard shows the somewhat harsher reality of the route. 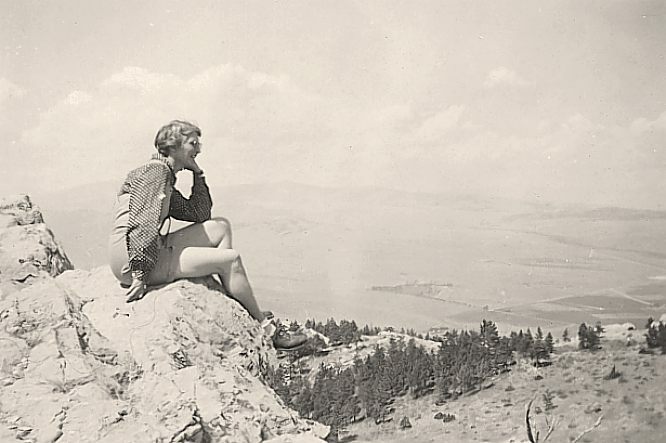 Another 1930s-40s view of the eastern slope. 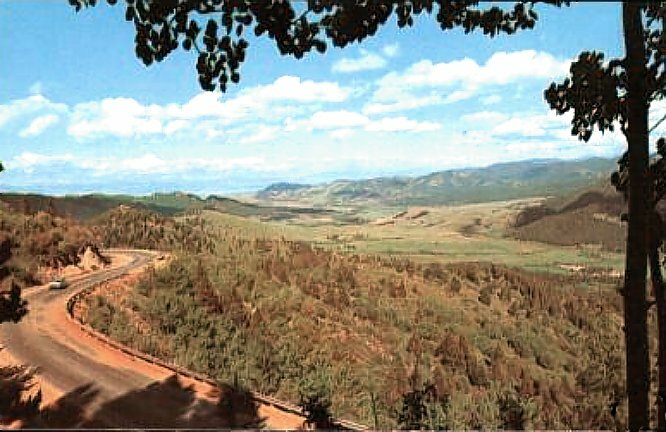 McDonald Pass, 1950s, looking across the Helena Valley. A similar 1950s view, taken in spring or early summer. What is now US 12 was a dirt road in the 1890s. 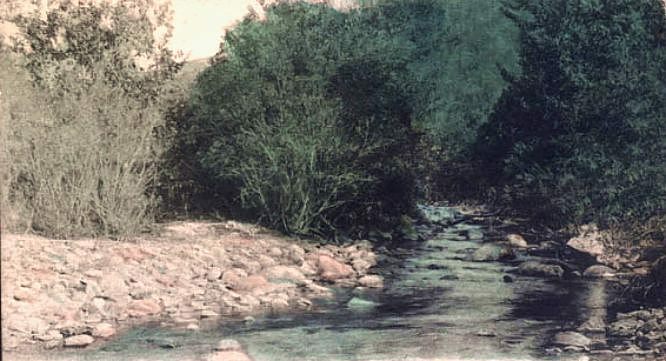 Ten Mile Creek, west of Helena, ca. 1900. 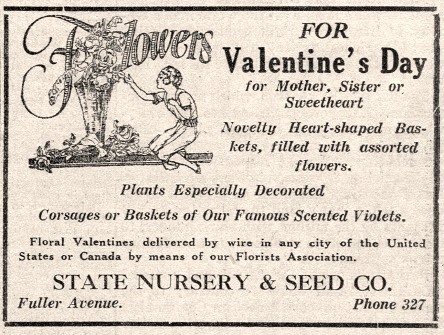 State Nursery & Seed Co., 1901. Charles A. Broadwater, Helena railroad magnate and builder of the Broadwater Hotel and Natatorium, sold to one Mr. T. E. Mills of London, England the property for the nursery in the late 1890s. 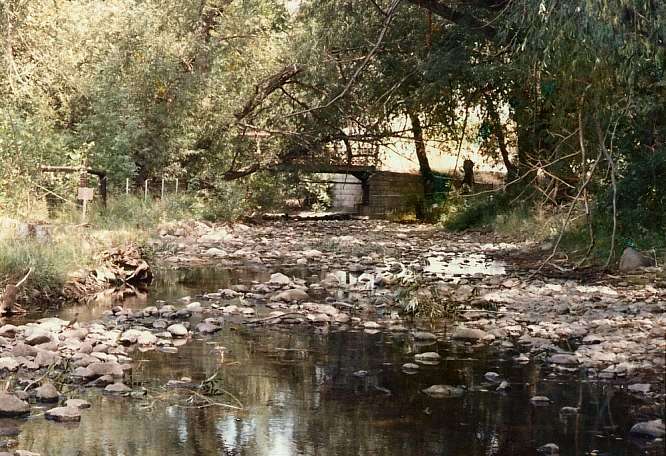 Mills did the landscaping for the nearby Broadwater resort, and by 1914 had built six acres of greenhouses in the little valley on the banks of Ten Mile Creek. 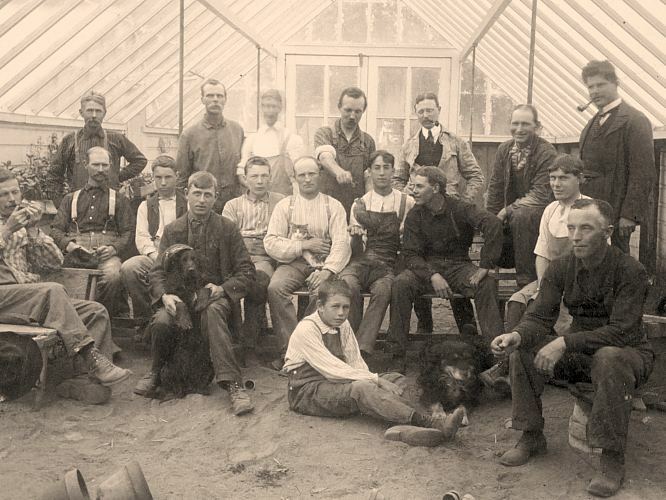 State Nursery & Seed Co. employees, 1897. Nursery owner T. E. Mills is on the right, smoking a pipe. State Nursery & Seed Co. employees, date unknown. 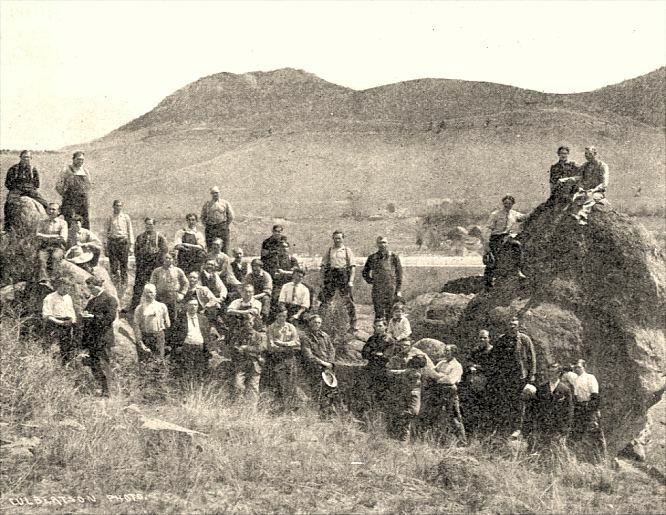 They are gathered at the "Saddlehorn" rocks on the hillside north of the nursery. Some say the spot has mysterious qualities; at least one person is buried there. State Nursery catalogs from 1921, 1922 & 1931. 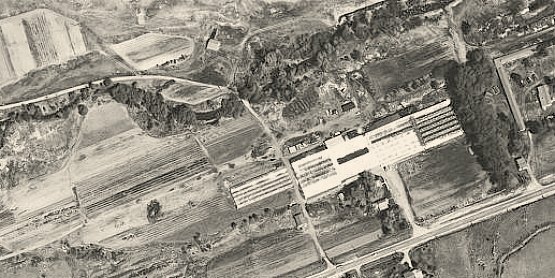 State Nursery & Seed Co., aerial photo, 1953. 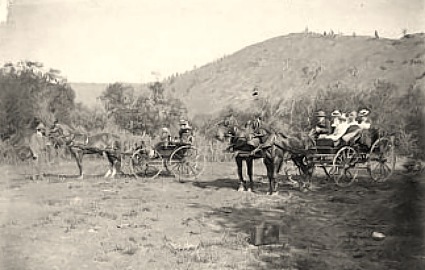 An outing near Broadwater, west of Helena, ca. 1890. An unknown bridge near Helena, ca. 1890. Possibly over Ten Mile Creek at Broadwater. 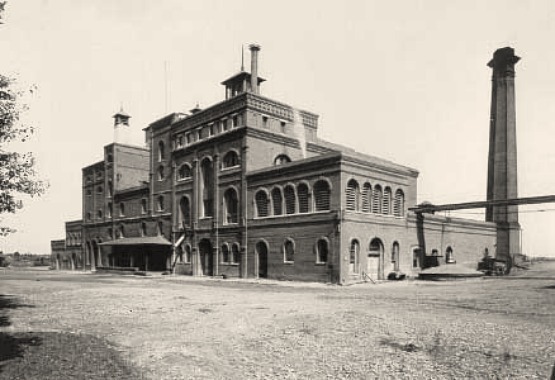 Kessler Brewery, ca 1890. Founded in 1868 by German-born Nicholas Kessler (1833-1905). Located just west of Spring Meadow Lake. By all accounts, Kessler was an exceptionally friendly, true and honest man, and his death was widely mourned. 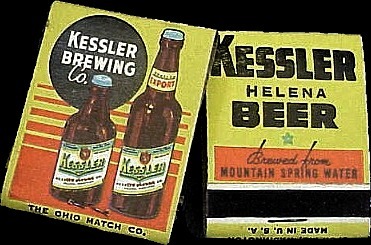 Kessler also operated a brickyard near the brewery, and in this way helped to build the city of Helena. In 2001, the 1860s Kessler mansion, located near the brewery, was heavily damaged by a fire caused by a child playing with fireworks in an adjacent barn, which was also destroyed. 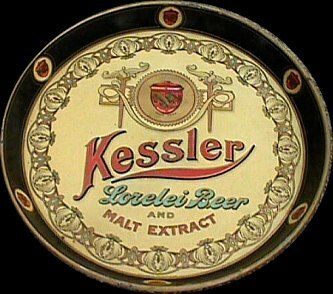 Kessler Brewery advertising bar tray, ca. 1900. 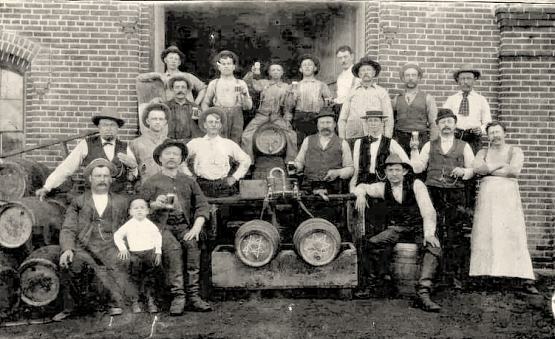 Kessler Brewery workers, ca. 1880. 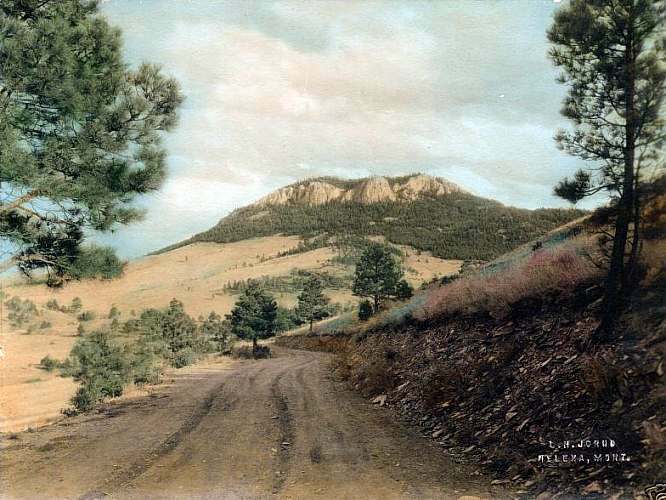 Mount Helena from Le Grande Cannon Blvd., ca 1925. 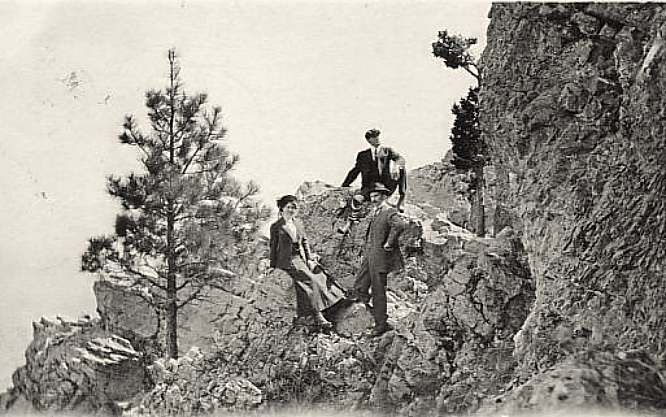 Hiking party wearing suits on Mount Helena, 1911. 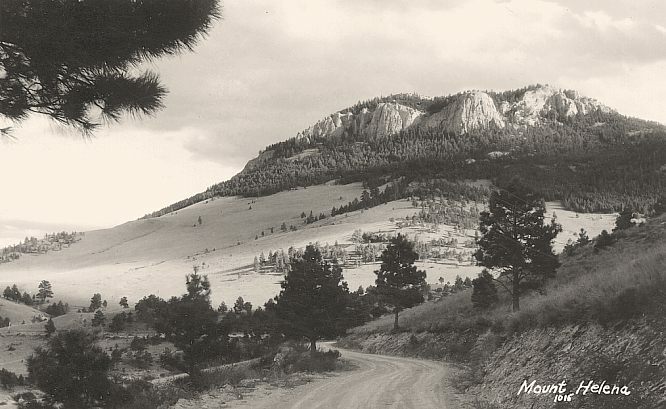 Looking west from Mount Helena toward Fort Harrison, August 14, 1941. The woman is Hazel Kilmer, who in a few months would join the Women's Army Corps, serving as a parachute rigger in England. View of Mount Helena from Broadwater, 1965. 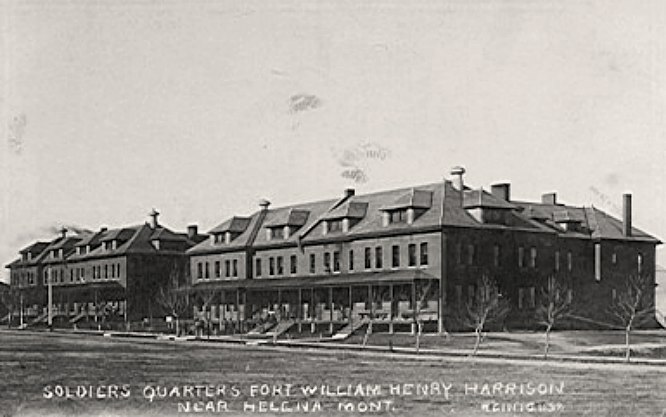 Fort William Henry Harrison, about 1910. 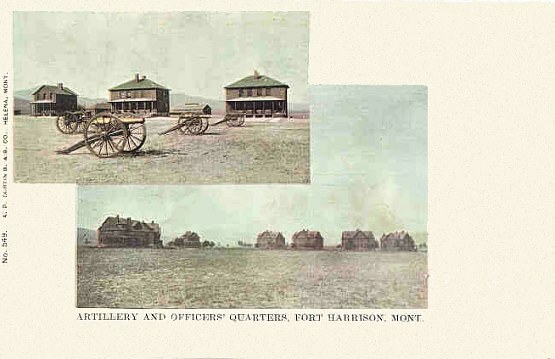 Fort Harrison was authorized by an act of Congress in 1892. The Fort was originally named Fort Benjamin Harrison in compliment to the then President. The name was changed in 1906 to eliminate duplication with a fort in Indiana. The military reservation was acquired by donations through the efforts of Col. C.A. Broadwater (who owned the adjoining Broadwater Hotel and Natatorium), the local Optimist Club, and interested private parties. The Fort was built from 1894 to 1896. In 1895, a detachment of the Hospital Corps from Fort Assinboine south of Havre and several small military posts, which were scheduled to close in the Dakotas, began training at the post. 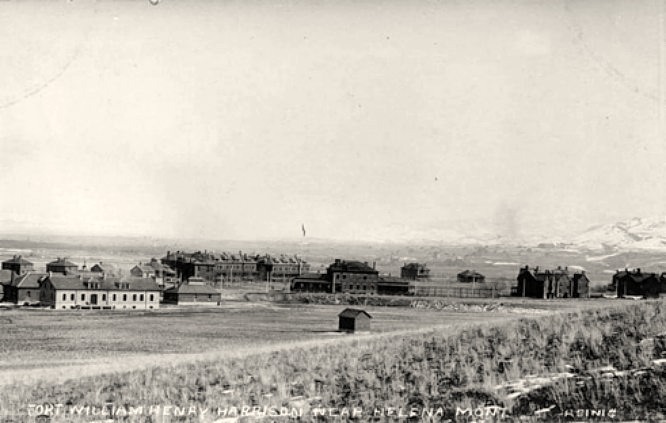 The Montana National Guard began utilizing Fort Harrison for training in 1911, after abandoning Fort Ellis near Bozeman. Fort Harrison was abandoned and left in the charge of a caretaker by the U.S. Army in 1913. 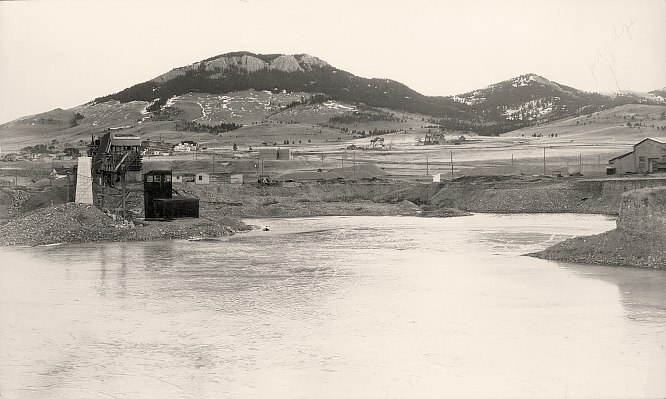 The Montana National Guard occupied the Fort in September 1915, beginning the development of the military post we see today. In June 1916, the Montana National Guard was notified by the War Department to mobilize to guard the U.S./Mexican border. With the start of World War I, the Guard was again trained and mobilized in 1917 to protect major railroad and industrial facilities, until they could be dispatched to eastern camps and eventually overseas. After World War I, the Fort became a Public Health Service hospital and eventually a Veterans Administration medical facility (No. 72). During the first years, it was designated as a tuberculosis hospital and expanded to 300 beds. In 1925, the designation was changed to a general medical and surgical hospital. After the October 1935 earthquakes that rocked the Helena area, the hospital facility was closed and the patients transferred to facilities in Washington and Oregon. 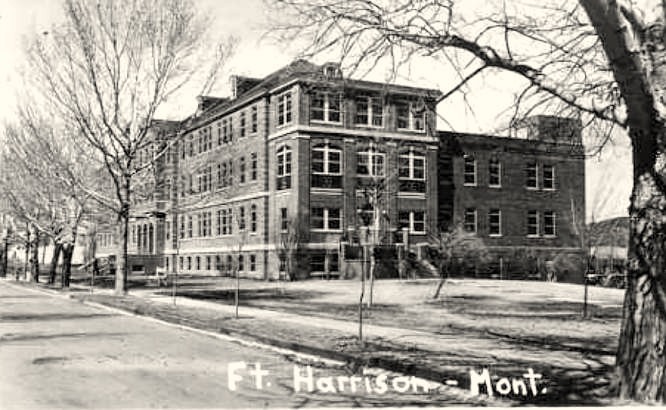 The Hospital facility was reopened in 1937. The Guard continued to use the reservation for training after the earthquake. During the Second World War, the U.S. Army assumed control of the facility and used it for very new and distinctive military units. These units included the First Special Service Force, the 474th Quartermaster Truck Regiment and the War Dog Training Center (Camp Rimini). Since 1947, the Fort has been used for training by numerous active and inactive combats, support and combat service support units. Numerous major improvements and increased training facilities were completed at Fort Harrison in 2001. Fort Harrison is the site of the Montana State Veterans Cemetery, and the home of the Montana Military Museum. 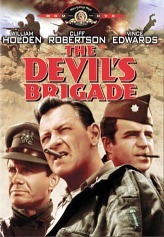 The 1968 MGM film "The Devil's Brigade" dramatized the WWII exploits of the First Special Service force, which trained at Fort Harrison. 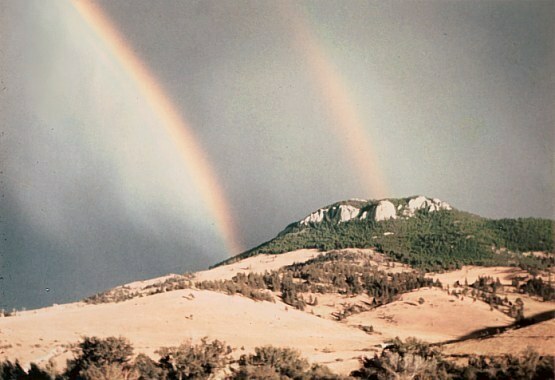 The Fort Harrison and other Helena footage was shot at Camp Williams near Lehi, Utah. One memorable scene from the film is a barroom brawl between the soldiers and some hard-drinking Helena locals, who for some odd reason are dressed like lumberjacks. Rare t oken from the Fort Harrison post exchange. Date unknown. 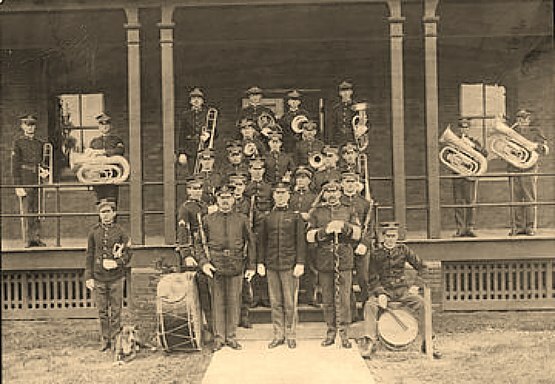 Fort Harrison Band, about 1915. 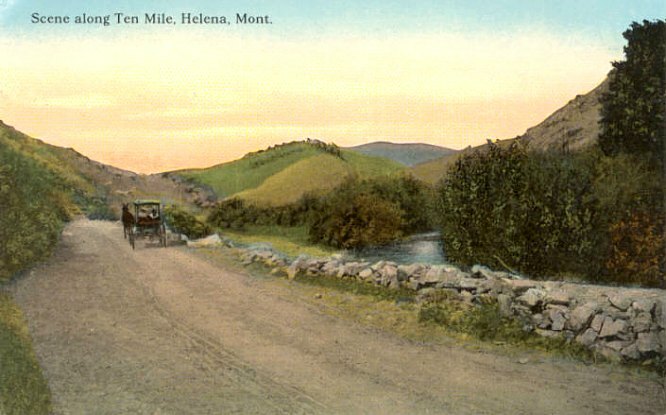 Postcard featuring Fort Harrison, published by Helena's A. P Curtin Co., ca. 1900. 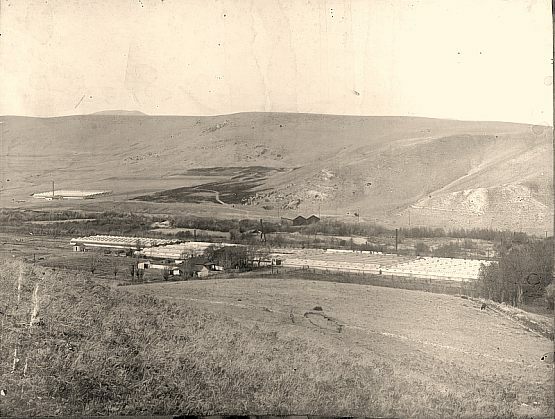 Fort Harrison, looking NW from the hills, 1923. This building housed the original hospital wards. 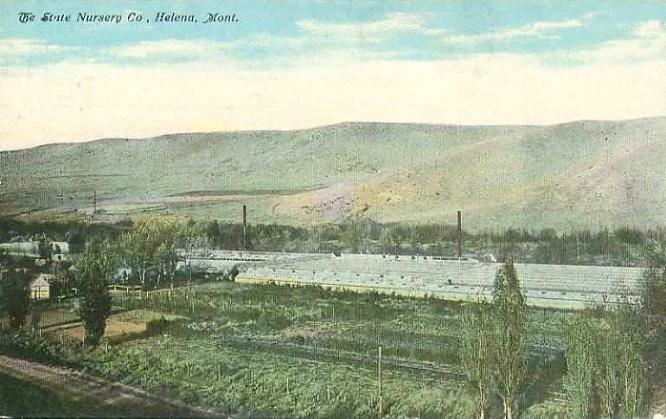 Helena Sand and Gravel had its beginnings in 1929, partially a result of the catastrophic 1928 downtown Helena fire. 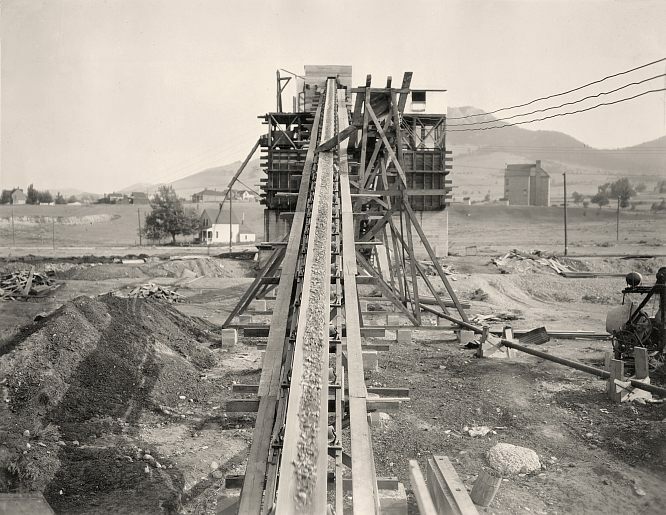 George Jacoby, son of Charles Jacoby (a 2nd generation contractor, Frank Jacoby and Son) saw the need for clean aggregates for construction and railroad ballast in Montana. 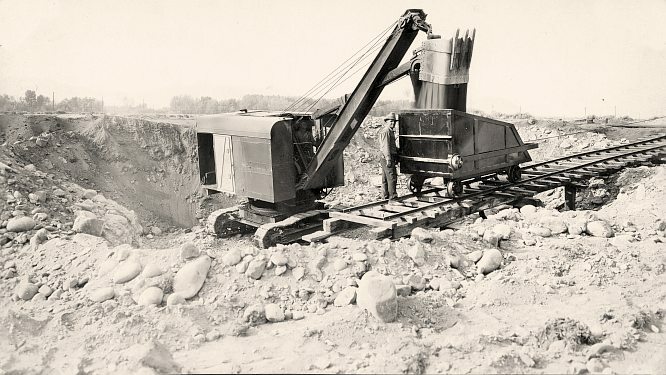 He bought 36 acres of tax title gravel land two miles west of Helena, which included the old stone John Stedman Foundry and Machine Company buildings, and utilized the Jacoby Speeder shovel (used in the reconstruction of downtown) to dig for gravel. The resulting pit opened up underground springs, and it soon became an expanding lake. Helena Sand and Gravel also delivered ready-mixed concrete, and were involved in large building projects in the Helena area. 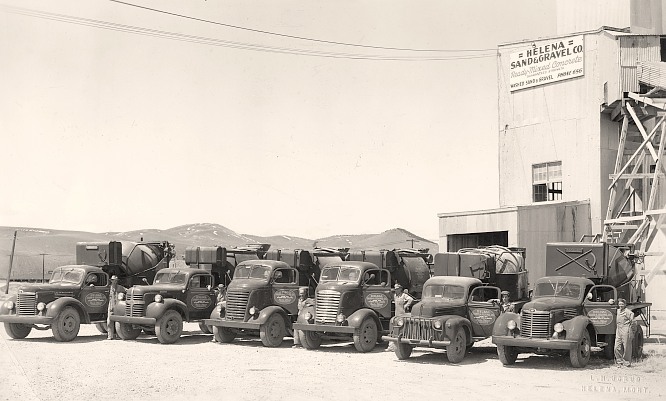 In 1951 Jacoby got into the street paving business with the addition of an Amalga-Pave cold mix asphalt facility. Jacoby retired in 1955, selling the business to W.A. "Bill" Carson who further carved out the channels and islands of the lake. Carson died in 1964, by which time the gravel had run out. A real estate developer planned to build condos on the site, and called it Spring Meadow, but the project was never carried out. 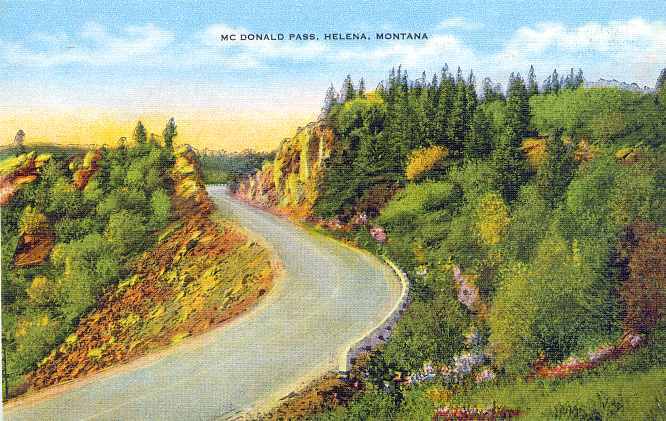 In the early 1980s the State of Montana purchased the property for a State Park. 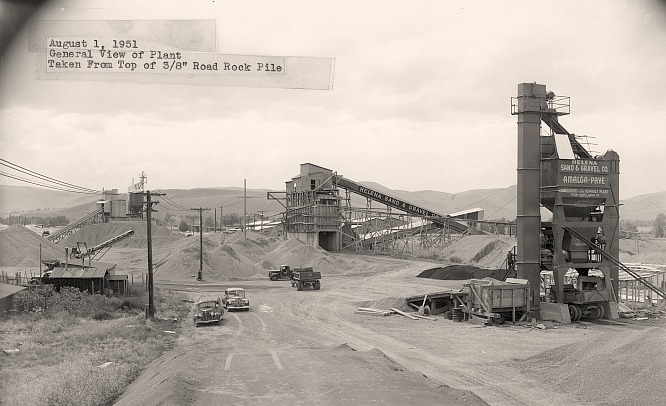 Remnants of the old Helena Sand and Gravel plant, and the earlier Stedman Foundry - the future home of the Montana Wildlife Center - can still be seen. These beautiful photographs are from the collection of artist and graphic designer Kathryn Fehlig, granddaughter of George Jacoby. Many thanks to Kathy for sharing these wonderful images! 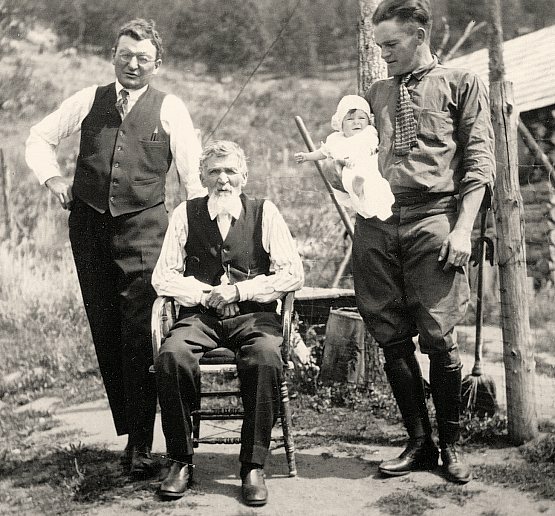 A Jacoby family portrait from about 1922, taken near Lincoln, Montana. Left to right: Charles Jacoby, Frank Jacoby, Dorothy Ann Jacoby, and George Jacoby. 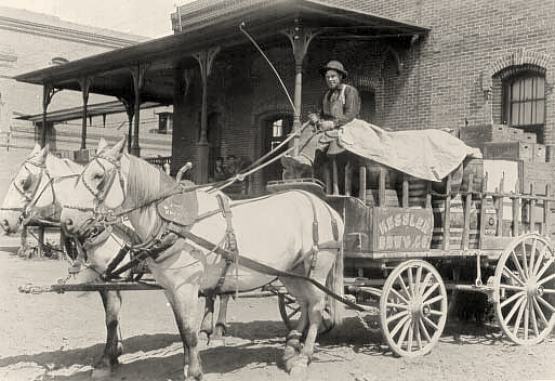 Frank Jacoby was the pioneer, arriving in Helena before 1878. 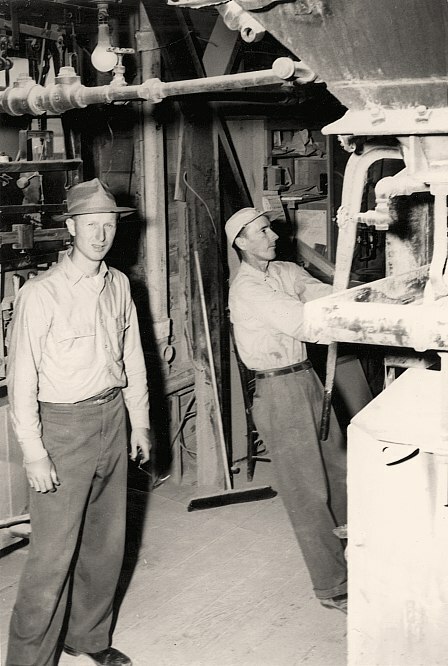 He was a carpenter and formed a company with his son, Charles, called "Frank Jacoby and Son." In 1915 Charles formed a partnership with his brother Frank under the same name. 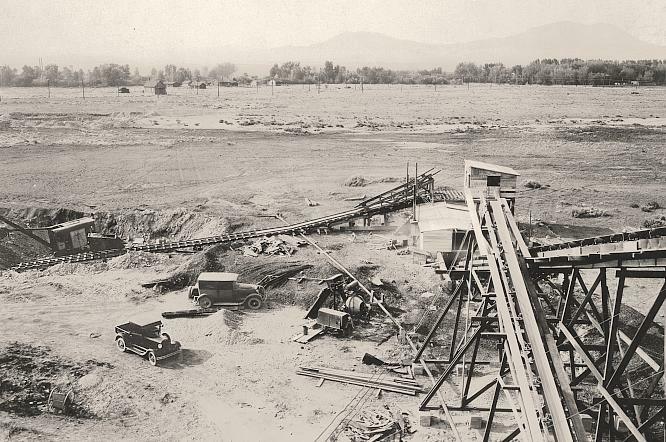 George Jacoby worked for the firm until forming his own business in 1929 (Helena Sand and Gravel). including St. Johns Hospital, the YWCA, the old Western Life building, Shodair Hospital, Colorado Building, LaLonde Block, Granite Block, 7th Avenue Gym, and Carroll College. 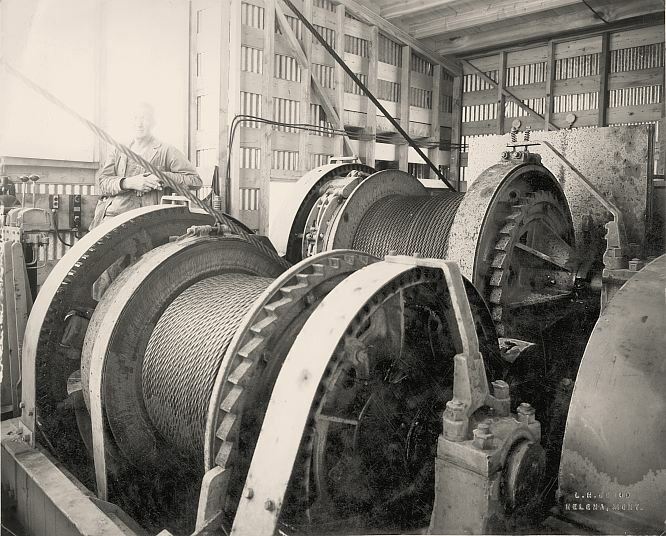 This first series of photos was taken in 1929, and show the machinery involved in the process. Pictured is George Jacoby opening the pit in August of 1929. 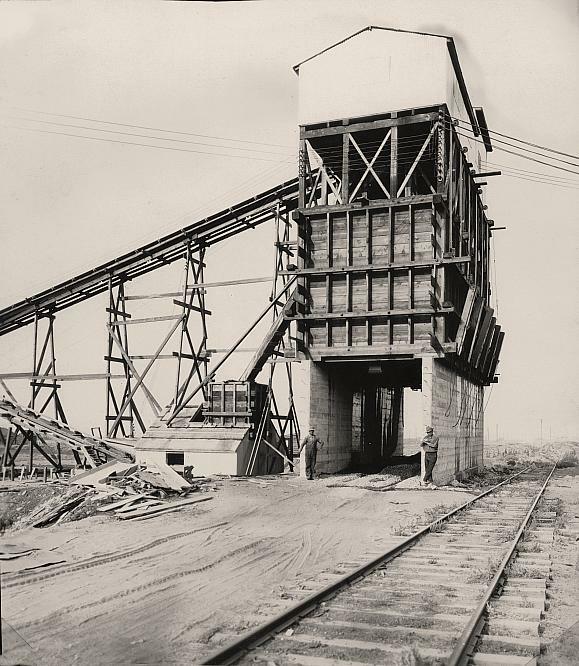 The Speed Shovel loads a 4 cubic-yard rolling skip..
Overview of the operation, August 1929. At the center left is seen the Speed Shovel and the skip. 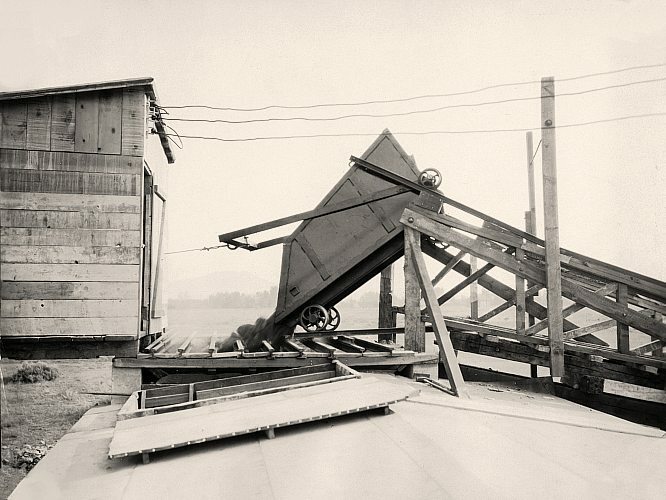 The loaded skip was pulled up the tracks by an electric hoist housed in the structure with the sloping roof. Once at the top, the contents of the skip was automatically dumped through a grating made of railroad rails set ten inches apart (called a "grizzley"). The skip discharging material through the grizzley, which screened out the very largest stones. The electric hoist is in the wooden structure. The next step for the material was a trip through this 24½" x 5´ Telsmith Plate Feeder, a three foot by five foot wedge bar grizzley further separated the stones from the gravel. We also see the top of the 10-A primary breaker. 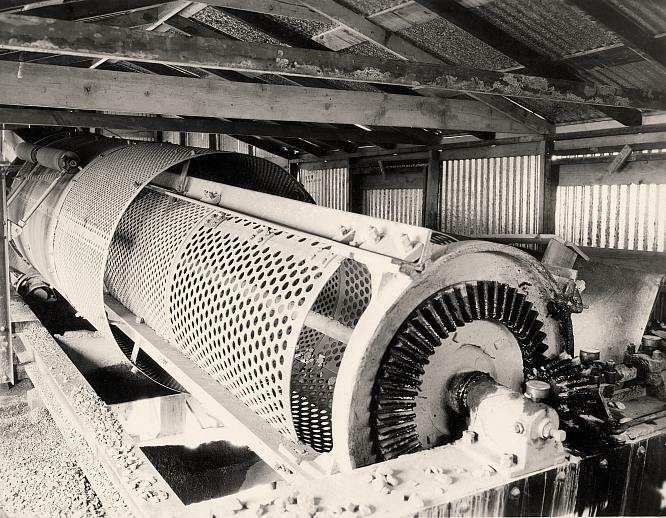 A view of the 10-A primary breaker, and the start of the 20 inch belt conveyor. 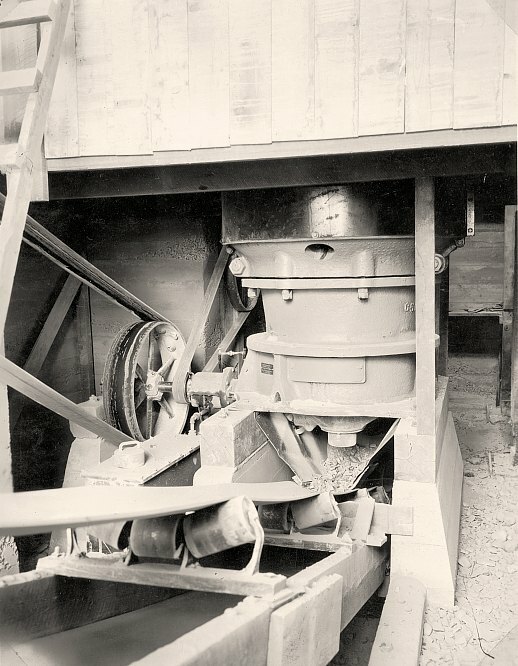 The breaker and feeder were driven by 40 hp Westinghouse Electric Motor. 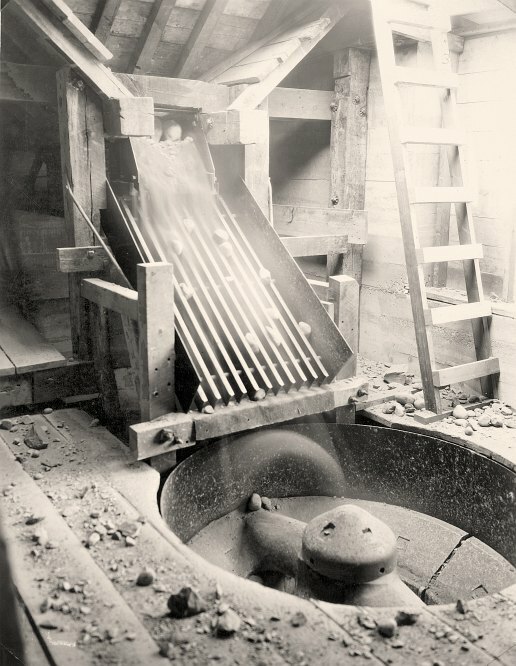 View from the hoist, showing material traveling up the 20-inch conveyor belt to the washer. At the right is the six-inch water pipe running from the pump house to the washer. 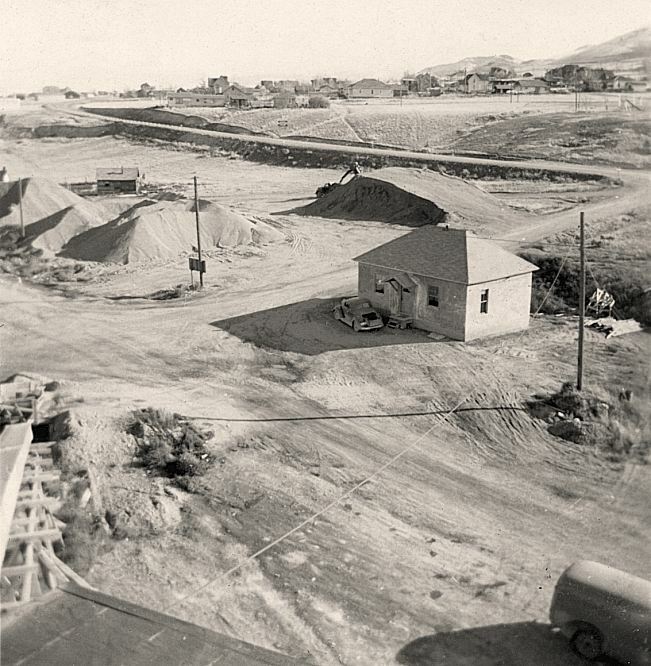 In the background on the right can be seen the old Kessler School, which was demolished after the 1935 earthquakes. The 40 inch by 18 foot Ajax Gravel Washer, seen from the discharge end. 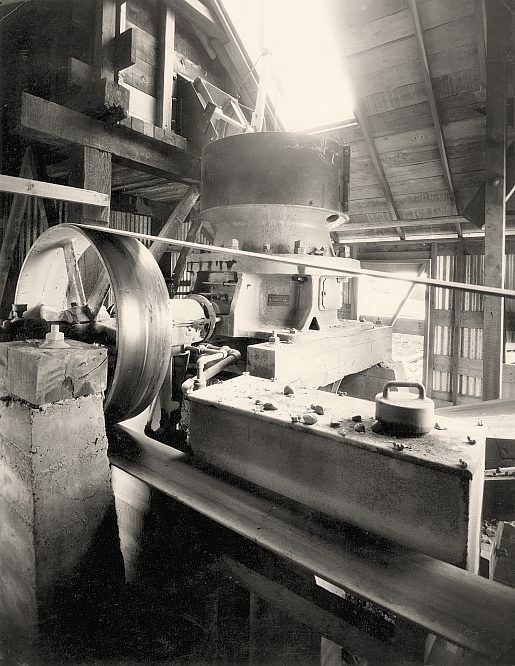 It was propelled by a 25 hp motor, which also drove the 20 inch belt conveyor. Looking eastward at the operation in 1936. The underground springs had been uncovered. 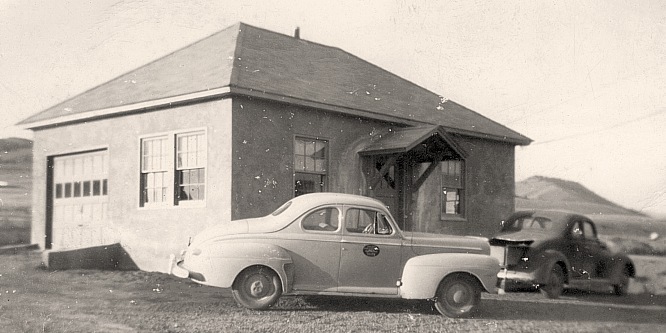 The Helena Sand & Gravel Office, late 1940s. Helena Sand & Gravel office interior. 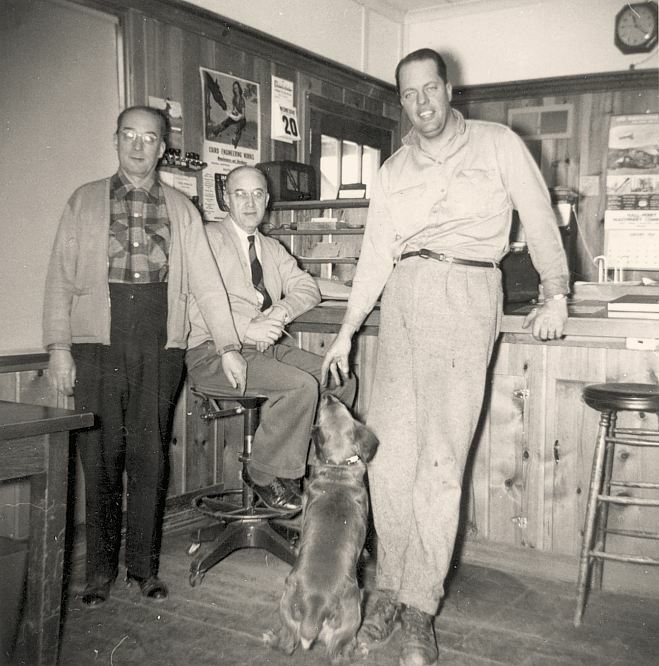 The men are unidentified, but the dog is "Major". Looking NW at the old Steman Foundry buildings, date unknown. 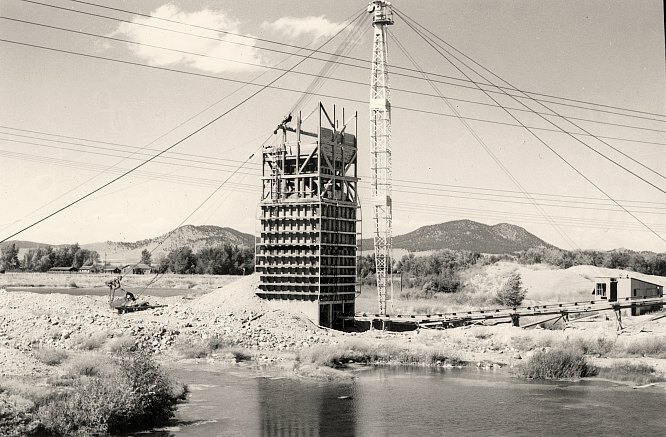 The Sauerman Bros. dragline bin and mast, probably 1946. 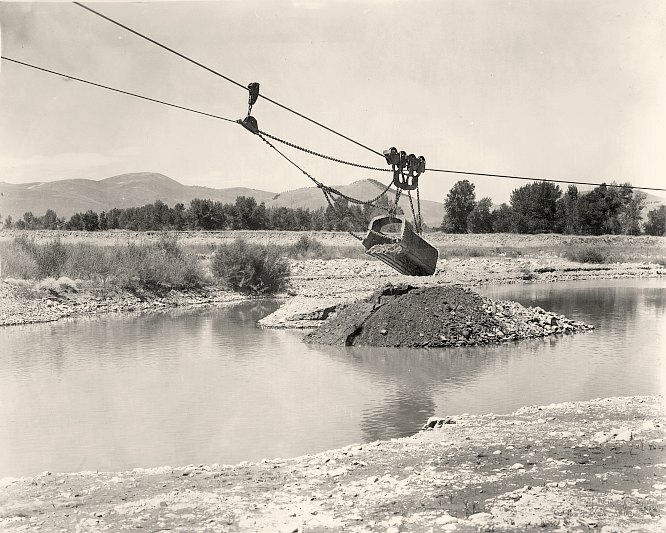 Part of the Sauerman dragline slack-line cable. Photo by Les Jorud. 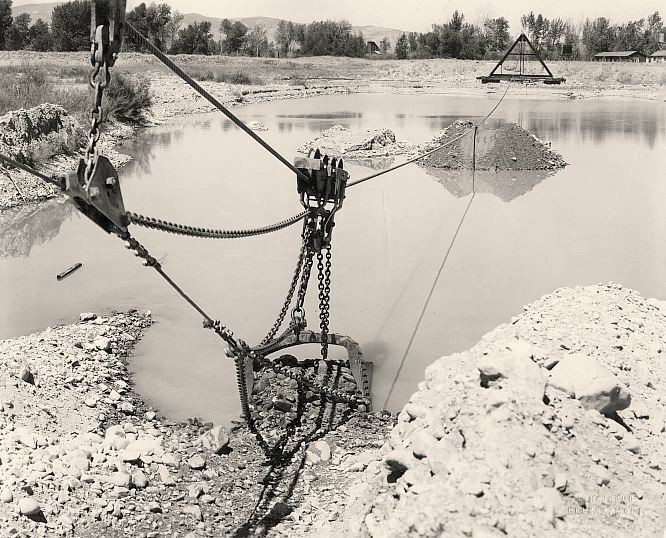 The dragline in operation, 1947. 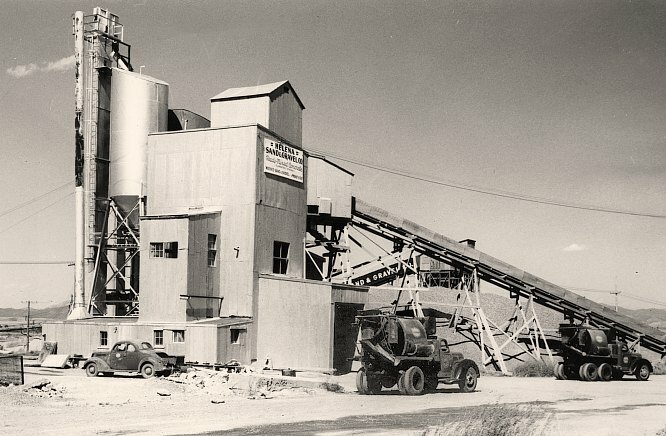 Helena Sand & Gravel Ready-Mixed Concrete plant, about 1952. 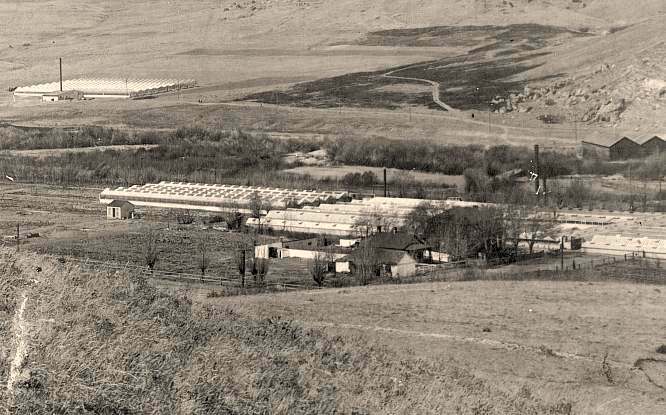 The Amalga-Pave plant, about 1952. Eugene Fehlig (left) and an unidentified man. George Jacoby's only child, a daughter, Dorothy Ann, married Gene Fehlig in 1943. In 1945, Gene joined George in the gravel business and worked there until 1954, when he moved his family back to his home town of St. Louis, Missouri. Panorama of a Spring Street neighborhood in the Seymer Park (aka Broadwater) Addition, 1965. Right-click on the photo above to download the full-size1.2 MB file. 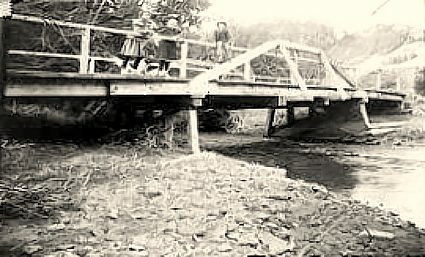 The 1894 Williams St. Bridge over Ten Mile Creek, 1970. 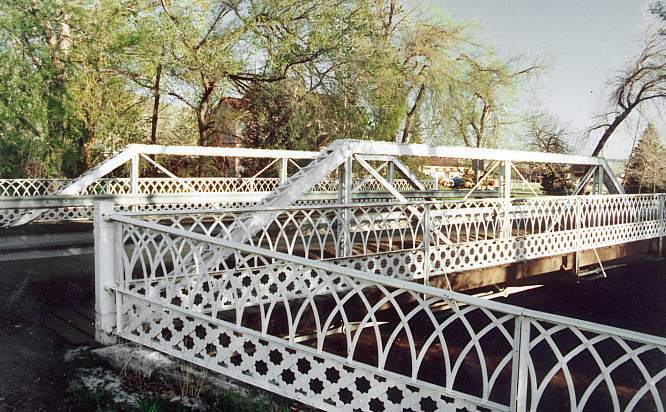 1894 Williams St. Bridge, 1980s. 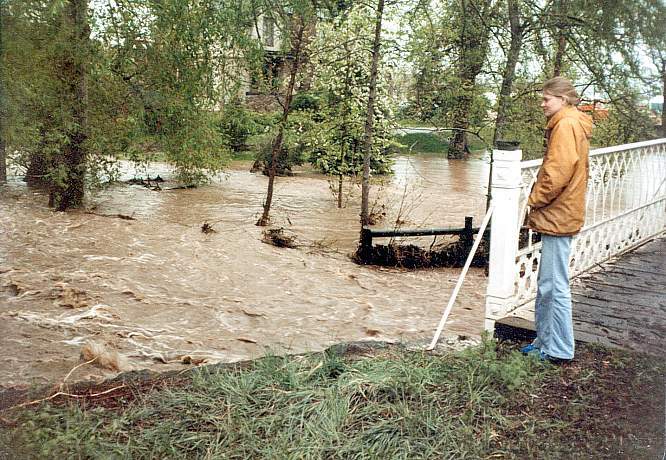 Ten Mile Creek in flood, Williams St. Bridge, 1982. Person unidentified. 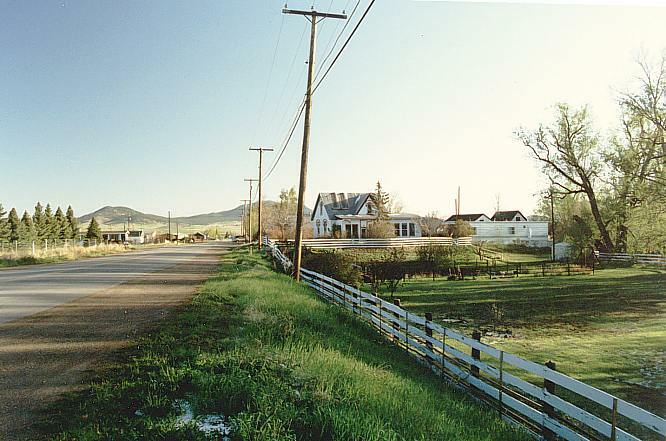 Looking north on Williams St., just north of Ten Mile Creek, 1980s.